Few outside the Scarborough Bluffs district know that a gaping crevice in the land lies south of the Kingston Road near the foot of Bellamy. Gates Gully has rested silently there since the last ice sheet retreated from Lake Ontario approximately 12,500 years ago. The trail that has been used for millennia by First Nations people has attained mythic status with many, associated as it is with stories of pioneer trade, the Rebellion of 1837, shipwrecks, smuggling, and lost treasure. As a local resident, I often clambered down into the Gully with our three children, mucking through Bellamy creek, all the way to its outlet near a beguiling little pebble beach at the mouth of Lake Ontario. Looking to the west, the turquoise water lapped the toe of one of the last stretches of the naturally eroding Scarborough Bluffs. Each trip would offer new discoveries: shore glass, salamanders, a dip in the bracing lake. Surrounded by the nature, we were in a different time and space — it was easy to forget we were inhabitants of one of the largest cities in North America. 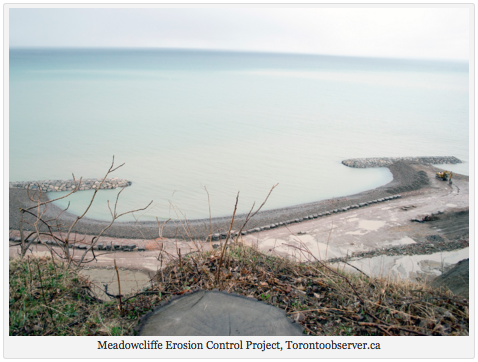 The Meadowcliffe Erosion Control Project is just the harbinger of great change now being proposed for about 11 kilometres of the Scarborough shore. I don’t think any of us really comprehends the enormity of the potential change. The decisions of the Toronto and Region Conservation Authority have the capacity to fundamentally alter the contour and shape of the eastern waterfront, and the way we relate to the lake, for generations to come. I have reviewed the Scarborough Waterfront Project, Environmental Assessment Terms of Reference, the alternatives to shoreline development outlined in the Scarborough Waterfront Project, Environmental Assessment (Alternatives document), and the Workbook. I will not be providing comment on the specific alternatives contained in the Alternatives document at this time, but rather referring to guiding principles that I hope you will take into consideration as you move forward with this process. The reason I am not providing specific comments on the alternatives is this: it is my respectful view that the process that has led up to the presentation of the alternatives is fundamentally flawed. I (and I venture to say the public at large) simply do not know enough about the alternatives and the potential environmental impact of those alternatives to be in a position to make an educated choice. Permit me to provide you with a colloquial example. You wouldn’t move forward to deeply explore an option for a kitchen renovation without first obtaining preliminary information about what the finished project is going to look like, a rough idea of the costs involved, the nature and quality of the materials and the potential impact of the renovation on the household. Let’s face it, once an alternative is picked and the train is moving down the track, it’s pretty hard to disembark and start the process over again from scratch. It’s human nature to make the chosen alternative “fit” the circumstance — costs mount, and people settle for less than they deserve. Sometimes the project goes off the rails entirely. I ask you this: if we wouldn’t choose this process for our home renovation, why would we choose it for our waterfront, when the impact of the decision will affect generations of Torontonians to come? Any discussion about potential development of Scarborough’s remaining beach areas should be governed by the prevailing principle contained in The City of Toronto Official Plan, 2002 (consolidated in 2010), and cited in the Scarborough Waterfront Project, Environmental Assessment Terms of Reference, “The shoreline of the Project Study Area is designated as natural heritage system (an area where protecting, restoring and enhancing the natural features and functions should have high priority)”, p. 42. I draw your attention to fifteen of the total eighteen alternatives noted for the East and West study areas in the Workbook, including the Headland-Beach, Bridge, Causeway and Revetment alternatives. The preliminary drawings for each of these alternatives indicates even to the layperson a high degree of environmental disturbance. Most of the alternatives for Bluffer’s Beach appear to involve heavy infrastructure and serious impairment to the site lines and water flow in the bay at the east end of the beach. All of the alternatives appear to call for the virtual elimination of the sand beaches at Grayabbey, while many of the alternatives call for the destruction of East Point Beach West. It seems to me that these high impact alternatives cry out for an explanation as to why they are required, yet no such information has been presented. Why then are Torontonians being asked to settle and choose to move forward with alternatives that have the potential to devastate our remaining unencumbered shorelines? I previously indicated that in the East section, in the vicinity of Grayabbey Park, no other option but versions of a hardened shore are presented. I understand that private property owners with riparian rights in the immediate area, at their own expense, have adopted innovative and effective ways to deal with shoreline erosion. The property owner at 220 Grayabbey Trail maintains that the remedial work for her property has been done under the auspices of IBI Group Engineers and that this work has been approved by the TRCA. I do not wish to air dirty laundry between the respective parties, but I do think that the discussion of how to remediate sandy shorelines and preserve beaches as an alternative to the installation of revetment walls and armour rock would be enriched by hearing directly from the private owners. The question needs to be addressed as to why other alternatives haven’t been presented by the TRCA that reflect more creative ways of dealing with erosion control, given the TRCA’s apparent involvement in beach remediation at 220 Grayabbey Trail. I understand that a shoreline access road was built to complete the beach remediation at 220 Grayabbey Trail, which is adjacent to Grayabbey Park. The successful completion of the access road presents an opportunity to explore alternate, less intrusive access points at East Point Park that do not involve the desecration of Grayabbey ravine. I think the public would be interested in hearing about those alternatives, and the potential environmental impact each alternative presents, prior to moving forward. 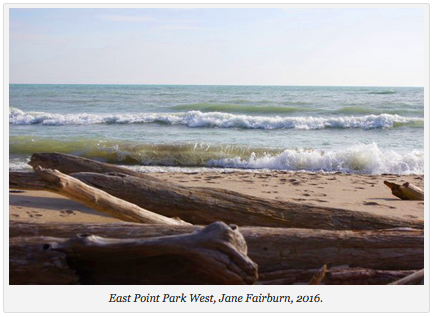 I understand that a segment of East Point beach is also under private ownership, but I do not see indication of that on the alternatives in the Alternatives document (private ownership is touched upon in the Scarborough Waterfront Project, Environmental Assessment Terms of Reference). How does the perspective of that owner affect the likelihood of the Waterfront Trail proceeding through the ravine, above the beach? It is axiomatic to the discussion that the public has access to the perspective of the property owner, prior to being asked to choose an alternative. Riparian rights are part of the history of the Toronto waterfront, and the rights and responsibilities of those owners, and their experience is important to the discussion that is underway. 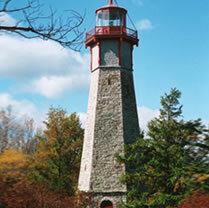 Two competing interests are inherent in any conversation about Scarborough shoreline development: increased access and the preservation of the unique ecology of the area that includes sand beaches, leafy ravines and diverse animal and plant species. 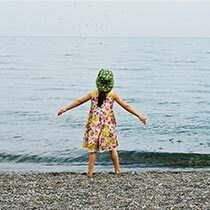 It is important to the discussion that many sections of the 11 kilometre shore, including the Scarborough Bluffs Sequence, are designated by the City of Toronto as Environmentally Sensitive Areas (ESAs). The Scarborough Bluffs and East Point Park are also designated by the Province of Ontario as Areas of Natural and Scientific Interest (ANSIs). East Point Park is also a noted migratory bird route. The issue here is how to increase the public’s connectivity to the shore without destroying the reason for going down to the water in the first place. For example, many would agree that the corridor to Bluffer’s Park at Brimley Road needs to be developed and transportation connections strengthened. The further development of the Waterfront Trail at or near the headlands of the Scarborough Bluffs or at the water’s edge should be governed by a key principle, however. In my view, the further development of the trail should not supercede the preservation of the remaining beach and natural areas at or near the shoreline. This was in fact a key message noted in the consultation process (Scarborough Waterfront Project, Environmental Assessment, p. 65, noted above). It is important to remember that the Waterfront Trail already exists in Scarborough, though some sections of it move through off-road paths and on-road streets. I support a diversified and balanced waterfront that allows for varied experiences and interactions with Lake Ontario. As I said in an earlier blog on the subject (noted below), we should be able to swim and fish in the lake, walk on the sand, hike and bike on the trail, and get into a boat at the shore. A lot has been made in the documentation of the damage occasioned to the Scarborough Shore due to the practice of stonehooking, that occurred in the nineteenth century. It is true that the shore was largely denuded of gravel and rock that lined the nearshore waters, often referred to as, “Dundas shale”. Today that shale is the foundation of many of Toronto’s oldest heritage buildings, but it did not just come from the Township of Scarborough. 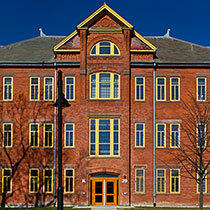 It came from across the Toronto waterfront: from the Beach district and near the mouth of the Humber River and beyond. In the early decades of the twentieth century, right up to and including the 1970s, the Beach district’s shore was at times at least, if not more, starved of sand than East Point Beach is today. I would argue that the difference between these two beaches is mainly in the thinking, and the approach to the problem of erosion control. In Scarborough we are discussing the possibility of the desecration of the beach at East Point. Thanks to the efforts of many, today the residents of the Beach district enjoy an artificially widened and protected sand beach, rather than an armoured revetment wall that cuts them off from the lake. 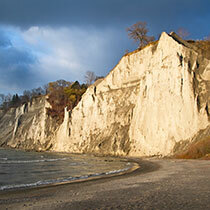 East Point Park is, geologically speaking, the termination point of the Scarborough Bluffs formation. The Bluffs are far less high in this area than they are at Bluffer’s Beach and are positioned behind the beach, off the water. (I am told that the water level runs higher in the summer and less beach is evident at this time of year). There is no residential development on the tablelands above East Point, which are subject to ESA and ANSI designations. It should be noted that the F. J. Horgan Water Treatment Plant (drinking water) is situated north of East Point Park West, above the headland and the park. The Highland Creek Wastewater Treatment Plant (sanitation) is situated above the east end of the park, north of the headland. An almost identical configuration exists in the Beach district, with Ashbridge’s Bay Wastewater Treatment Plant situated at the west end of Woodbine Beach and the R.C. Harris Water Treatment Plant (the city’s largest source of fresh drinking water) located to the east of Balmy Beach. It is of interest to me that the potential for habitat enhancement is noted throughout the proposed alternatives (particularly for fish). It concerns me that the obvious significant and irreversible diminishment of habitat for many other creatures, associated with many of the alternatives, is not even mentioned. I believe that it is somewhat specious to point out that increased opportunities for fish habitat are presented by the partial or complete obliteration of a sand beach. The Toronto waterfront is central to our identity as Torontonians and a great deal of our creation story lies at the waters’ edge. Lake Ontario is the most significant monument we have to our storied past. If we move headlong into the future with callous disregard for our past, we do so at our peril — we lose our sense of place that is connected to the waters’ edge. 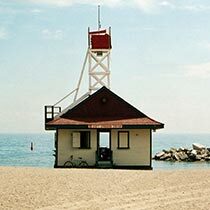 Bluffer’s Beach is a gift to the City of Toronto. The great expanse of sand and the elegant curve of its easterly bay should not be light heartedly tampered with to accommodate the Waterfront Trail. Bluffer’s certainly should not be marred by unnecessary and harmful development like the Headland Beach alternative that gobbles up one third of the sand with armour rock. Maybe there is a less intrusive option with fewer environmental impacts to connect the trail, but the community deserves to hear more about the potential environmental impacts and the scale and site lines of all alternatives before even considering moving forward to the next stage. I am mystified as to why so many of the alternatives seem to desecrate the remaining sand beaches when an opportunity is clearly presented for the development of our shores as educational hubs within the context of the natural world. On the beach at East Point West, wetlands extend out onto the sand, and a little creek runs to the beach. Muskrat, turtle, and other creatures inhabit the shore and nearshore areas. Enormous opportunities are presented by this resource at the water’s edge: interpretive trails that delineate natural and First Nations history, ecological, archaeological and geological field work, and possible supervised beach areas. All possibilities should be explored for the remediation and further development of East Point Beach before we throw the baby out with the bathwater and bring in the concrete. I note the attention given to the issue of safety throughout all the documentation in relation to the Scarborough Waterfront Development Project (see in particular, Scarborough Waterfront Project, Environmental Assessment Terms of Reference, pages 11 and 28). While attention to safety as a feature of development is of course necessary, it should never become a justification in itself for the complete elimination of the perceived risk or threat. 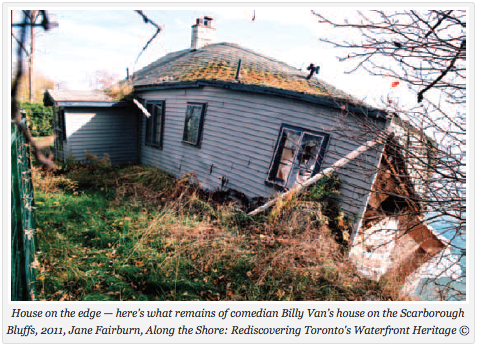 The quickly disappearing former cottage of the comedian Billy Van on Meadowcliffe Drive is also illustrative. While the structure was allowed to erode for years on the edge of the Bluff in full knowledge of the TRCA, our children splashed through the lake underneath it to get to Bluffer’s Beach. No one died, and I believe they are richer for the experience. TRCA, I am asking you to go back to the drawing board. Please give us more information about the alternatives you have presented so that we may fully participate in meaningful choices. Please offer us other creative solutions so that our remaining beaches and natural spaces may flourish and be enjoyed in my lifetime and beyond. Previous post: Paving the Beach: Does it Really Make Sense?